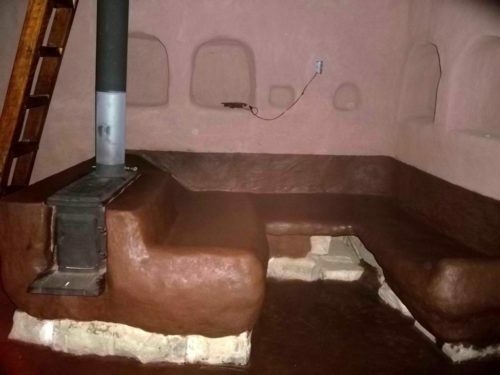 ~ Natural Stone Foundation, Building Cob Walls, Sculptural ~ Artistic Cob, Natural & Lime Plasters, Tadelakt Plaster (Waterproof), Earthen (Adobe) Floor, Roofing a Cob Building. 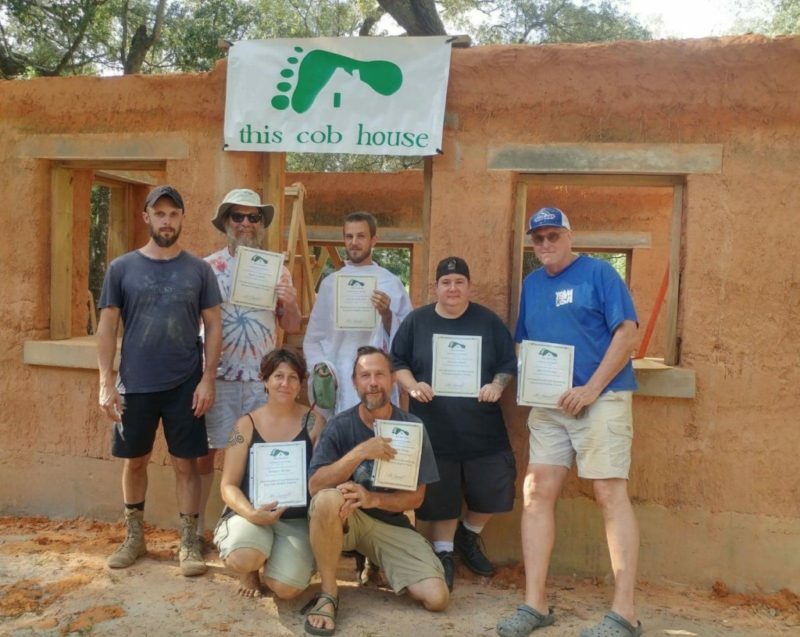 As much as is reasonably possible..
We try to prepare you to go home and be able to build your own home out of cob after attending a six day workshop with us. The project we will waterproof is a bath house with a hot tub and shower. The hot tub is finished, but we will Tadelakt the shower. 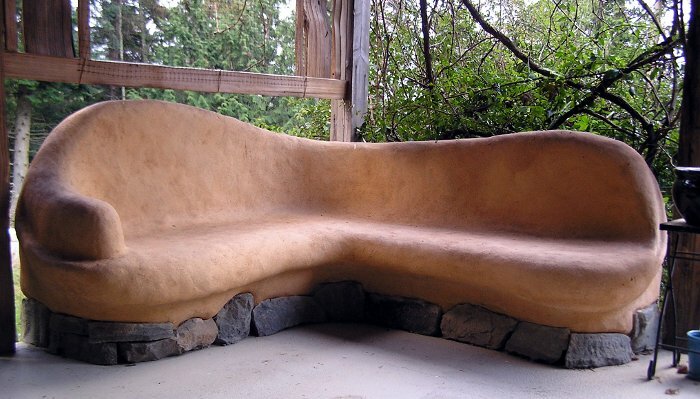 We will build a natural earthen floor, sometimes called adobe, during this workshop. We will learn by doing as we prepare materials, choose appropriate insulation, prep the sub floor, set up the frame, and see the final step to building with earth. 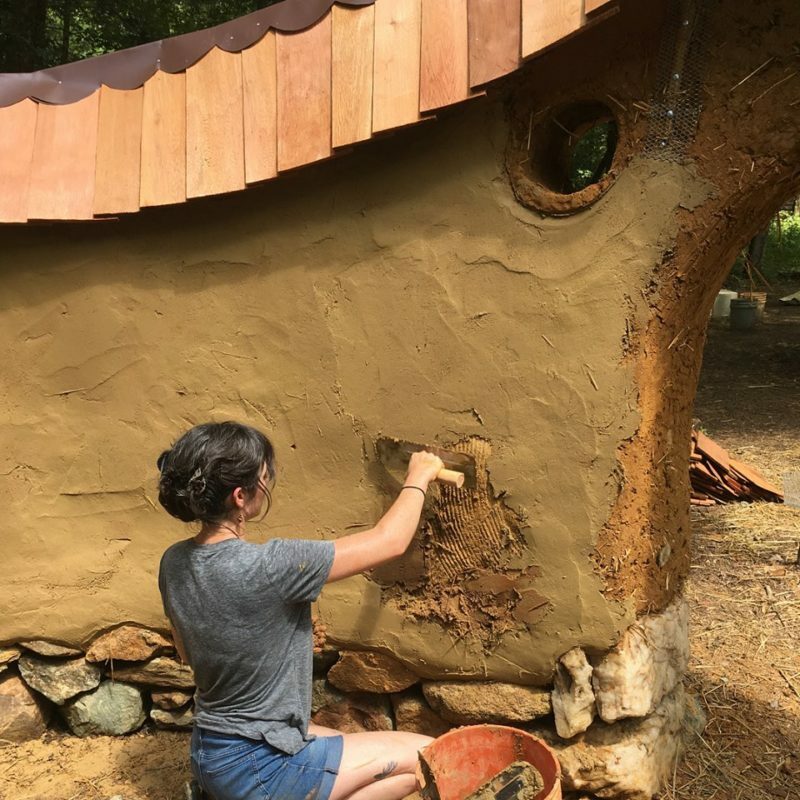 Cob must be protected with a sturdy roof to last the centuries that this ultimate sustainable building technique will provide. As with all the techniques learned at this workshop, this will be a hands-on day of building. We will assemble together and build the basic roof components: Beams, Rafters, and Perlins. We will consider the options of finishing with metal or an earthen roof. – Call Diane Jennings at 606-256-8954 for more information.